Ernest Short was born in Holmwood in August 1880 and was baptised at St. John’s church. His father James was a baker and it wasn’t until sometime between 1901 and 1911 that the Shorts moved to Betchworth and lived at Dillon Cottage. In 1901 Ernest was a groom for a draper and grocer in Headley, Hampshire and it was only his brothers Charles and William who were living with their parents by 1911. 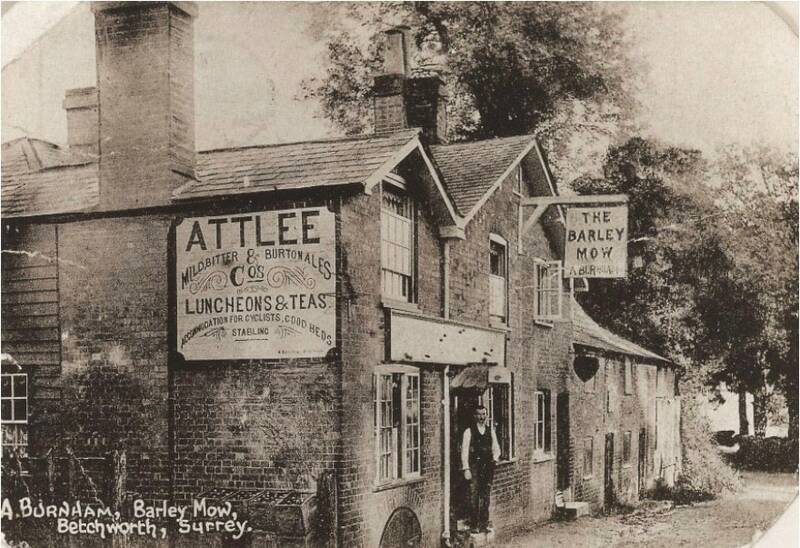 At that time Ernest was living at the Barley Mow in Reigate Road with the Burnhams as a ‘servant’. His age on the 1911 census appears to be 38, but he was only 31. Elizabeth Burnham (née Field) had been born at the Barley Mow in 1879 and in 1904 she married Aaron Burnham. Prior to her marriage she had worked as a barmaid in Penge. She and Aaron eventually took over the pub from her father, James Field. But in 1911 Aaron Burnham died aged 33. Elizabeth took over the pub and Ernest Short continued to live and work at the Barley Mow with Elizabeth and her son Percy. In 1916 Ernest and Elizabeth got married. Unfortunately the doctors’ hopes were not realised and Ernest Short died of his wounds on June 7th aged 37. He was buried in the St. Sever Cemetery Extension at Rouen three weeks after Ernest Durham was buried in the same place; they lie not far from each other.